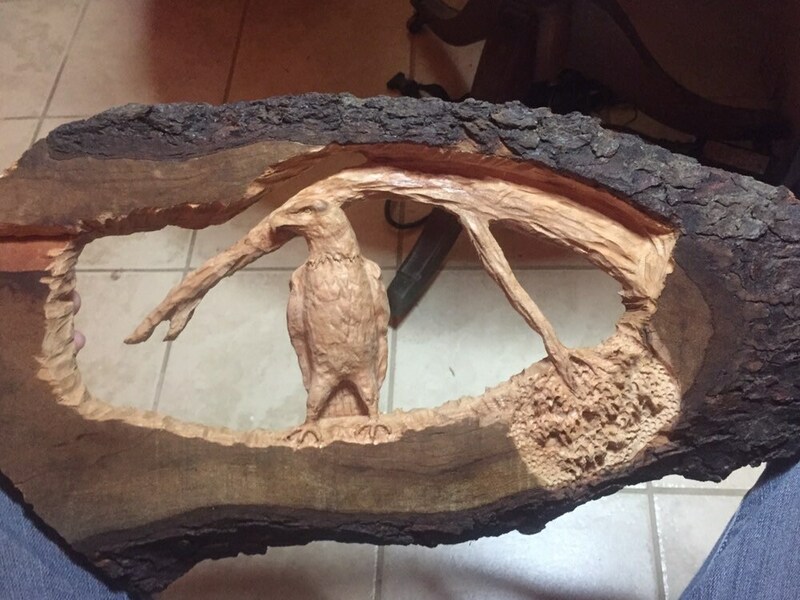 I made this wood carving using a chainsaw primarily, a few hand tools, some sandpaper, and spray urethane sealer. 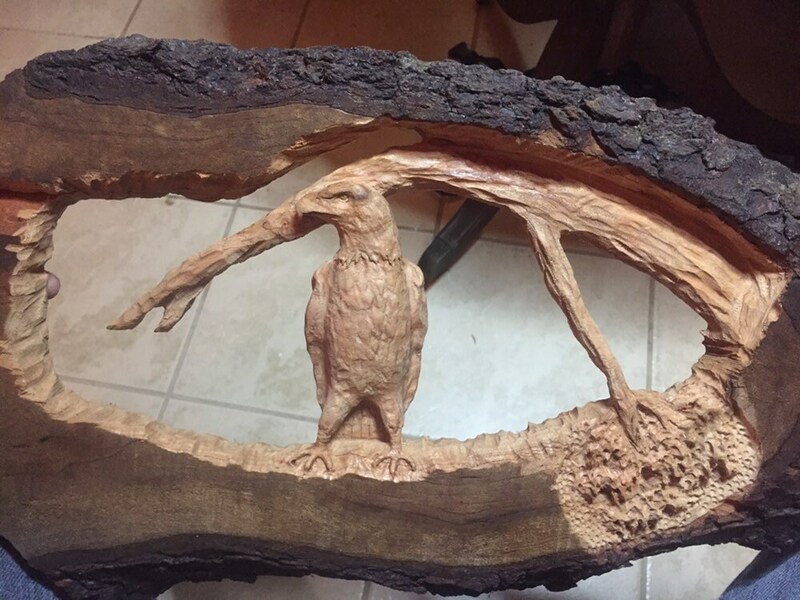 This depiction of a hardwood tree and Eagle is carved in a piece of dry, Cherry wood. It is 19 1/2” wide, 10 1/2” tall and 1” thick. 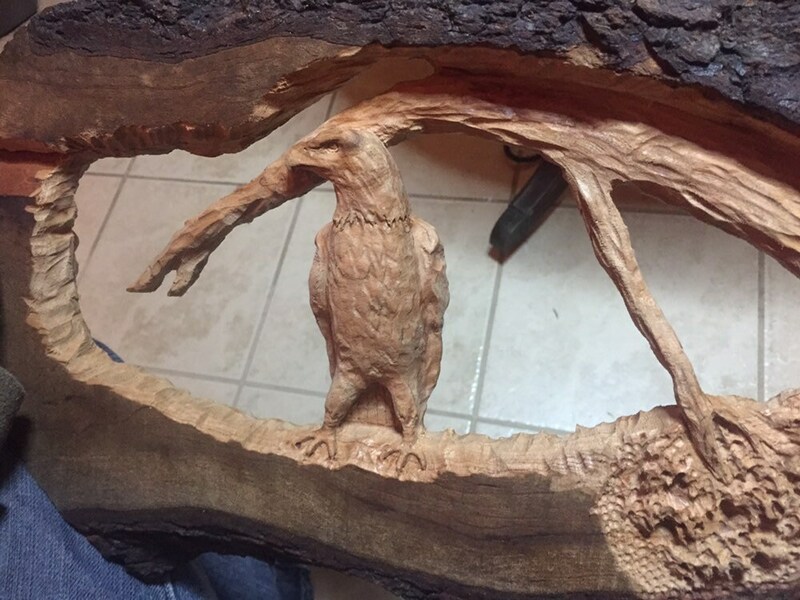 I carve everyday for a living :) This is what I love to do! 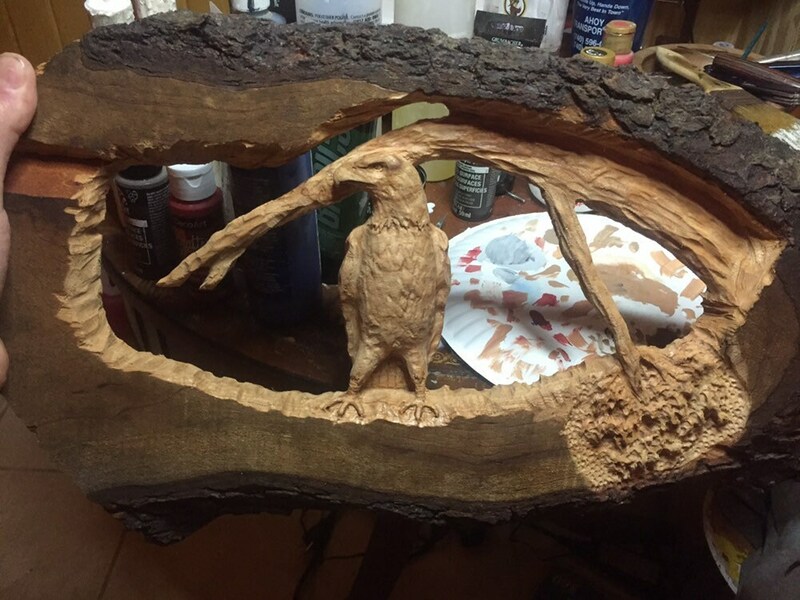 I take a lot of pride in my work, and it’s very important to me to make unique wood carvings. 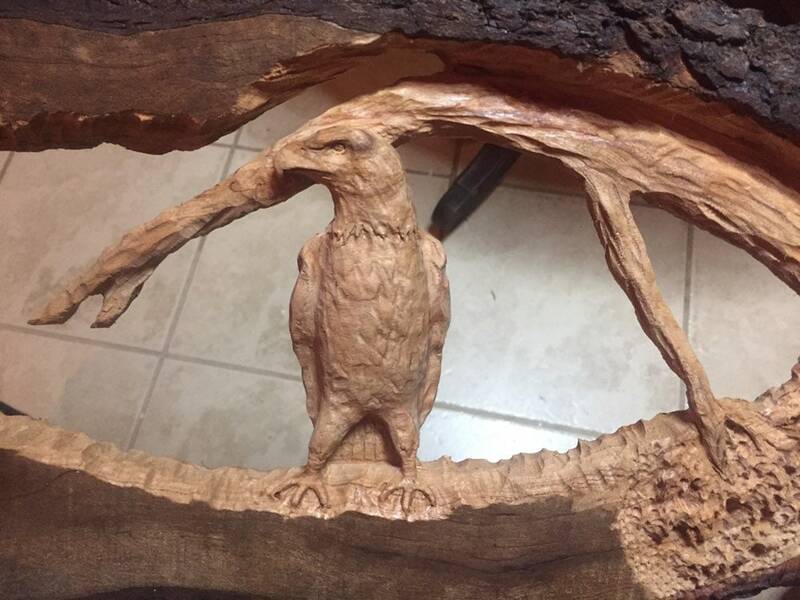 I have shipped hundreds of carvings, so you can feel at ease knowing your artwork will arrive quickly and safely. This is a wall-Hanging carving. I have attached a hanger on the back, and I’ve also signed and dated the back. 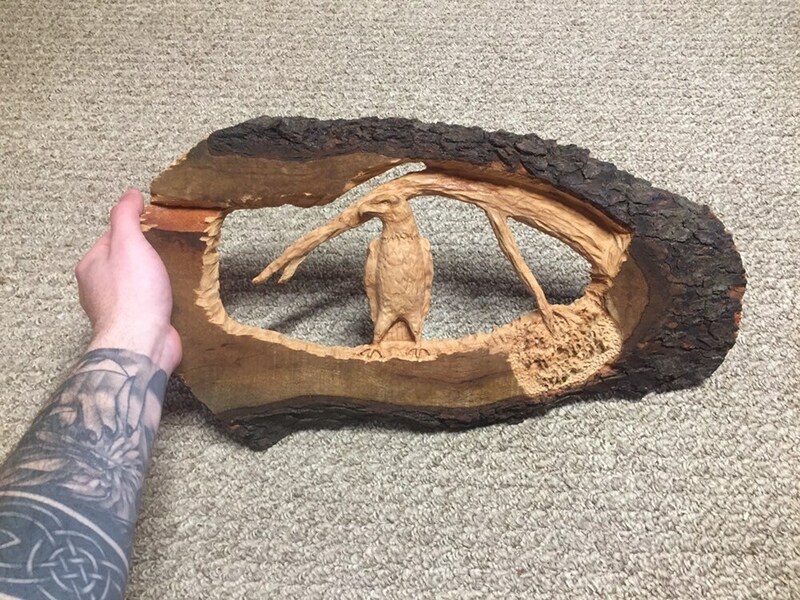 Please, feel free to contact me here, carpcuts [!at] live.com, or call 740-979-5511. Thanks so much!